Effective Pain Management with Rehabilitation Therapy: How and Why? 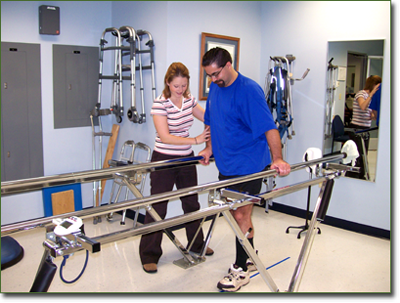 Rehabilitation therapy – also known as rehab therapy, physical therapy, or occupational therapy – is a popular way to help manage pain after an accident or injury, or following surgery or illness. One of the main reasons for choosing to manage pain with rehabilitation therapy is the lack of pharmaceutical medications required – drugs can numb the pain but also bring side effects and overuse risks. Rehabilitation promotes healing in a more natural way, and also helps to restore movement and mobility, and stop injuries striking again in the future. Here’s how rehabilitation therapy can help you manage pain, and why you should consider it. Rehabilitation therapy can help you recover more quickly, and in a more complete way. When you have treatment from a trained professional over a significant length of time you will find that your recovery from injury is more complete than if you had not worked on your health in this way. Many people make a full recovery with the help of rehabilitation therapy, and where a complete recovery is not possible, others get back the majority of their pre-injury or illness function. You may also find that you recover more quickly when you have rehabilitation therapy. This is important because you will no doubt want to get back to normal as soon as possible – you have a busy life with a family to care for and work to do. But it is important to manage your recovery in a controlled way because doing too much, too soon, can result in pain, discomfort, and a possible relapse. Rehabilitation therapy helps you recover in a controlled manner, without extra pain. It is frustrating when an illness or injury results in your body operating at a sub-par level – you cannot walk properly, or you cannot use parts of your body as normal. Rehabilitation therapy seeks to return you to your pre-injury levels, and can help to get you walking again without pain, or back into exercise and sport. Rehabilitation therapy is particularly important if you are a professional or semi-professional athlete that needs to get back in the game as soon as possible. If you have questions about rehabilitation therapy and whether it will help you recover from your injury or illness, schedule a consultation with a pain management specialist. http://advantatotalhealth.com/wp-content/uploads/2015/01/full_logo_adj116_DancScr_lrgSideText-300x126.png 0 0 Dr. Richard Schuyler http://advantatotalhealth.com/wp-content/uploads/2015/01/full_logo_adj116_DancScr_lrgSideText-300x126.png Dr. Richard Schuyler2014-04-23 12:19:242015-01-08 13:34:30Effective Pain Management with Rehabilitation Therapy: How and Why?